In our next installment of previewing the four divisions segmented within the Southern Section, we shift our attention to Division 3. On the girls' side, the big question here is if Santa Margarita can defend their title. The Eagles have maintained a strangle hold on Division 3 opponents coming into the season with four consecutive titles. That last time a squad claimed the title other than Santa Margarita was Harvard Westlake in 2014. Can Santa Margarita maintain its grasp in the post-Merritt era, as all-star, Nikki Merritt has now moved back east to compete for Duke University? 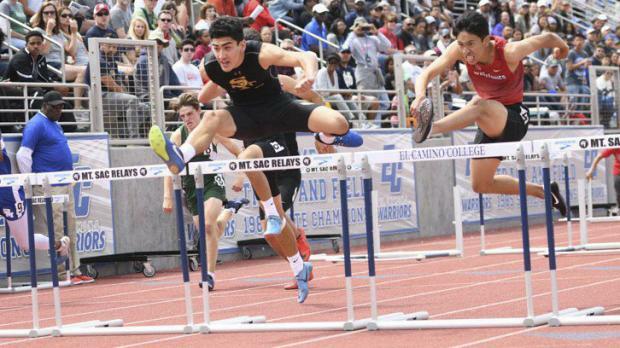 On paper, Notre Dame of Sherman Oaks returns a solid crew that looks to earn points across most events once the championship season approaches. For the boys, Harvard-Westlake is primed to defend its 2018 Division 3 Team Championship. Brayden Borquez will be called upon once again to do the heavy lifting if the Wolverines are to defend their title. They do return a solid supporting cast as they go into the 2019 season as slight favorites. But they will have their hands full as Notre Dame Sherman Oaks has virtually owned this division over the past two decades! The Knights have captured 10 team titles over the past 17 seasons, and back-to-back championships in 2015-2016. Christian Grubb leads Notre Dame as what becomes a challenge with his talents is what four events to place him into once the postseason rolls around.